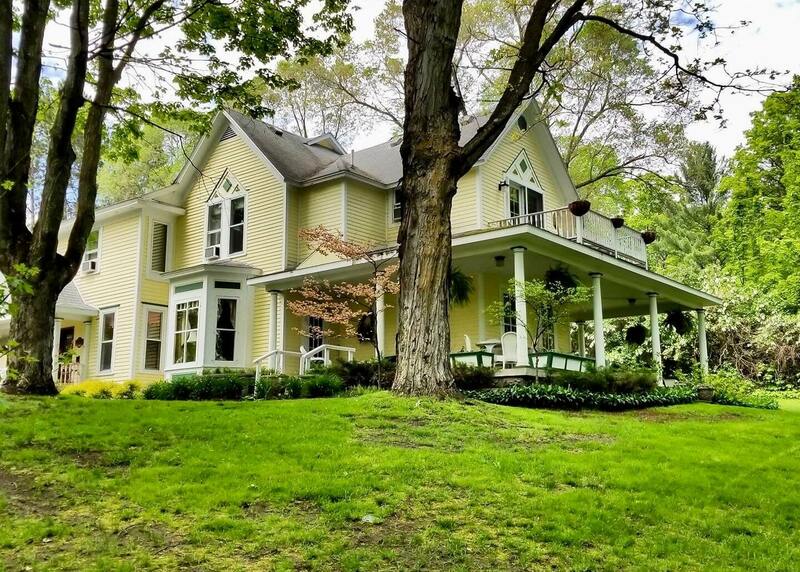 Once voted the 12th Best Overall Bed & Breakfast in North America, Bellaire Bed & Breakfast sits at the top of a hill at the end of a tree-lined drive. 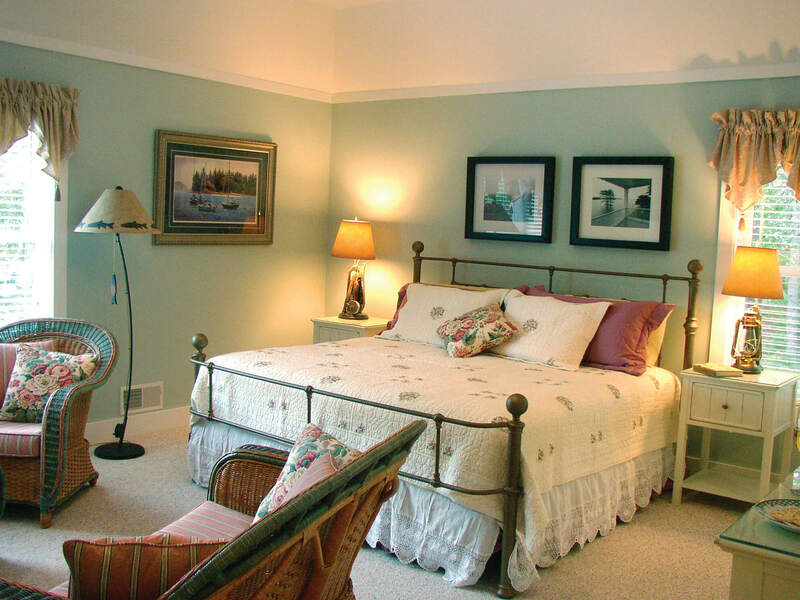 Bellaire B&B occupies a tranquil setting with delightful gardens, hammock and shuffle board court, yet the lakeside village of Bellaire is only a short walk away. There you’ll explore shops, a movie theater, brew pub and fine dining. In the morning we serve a hearty breakfast that features a hot main dish, fresh homemade breads and muffins, fresh fruit, juices, and gourmet coffee, teas and hot chocolates. You probably won’t feel much like eating lunch. 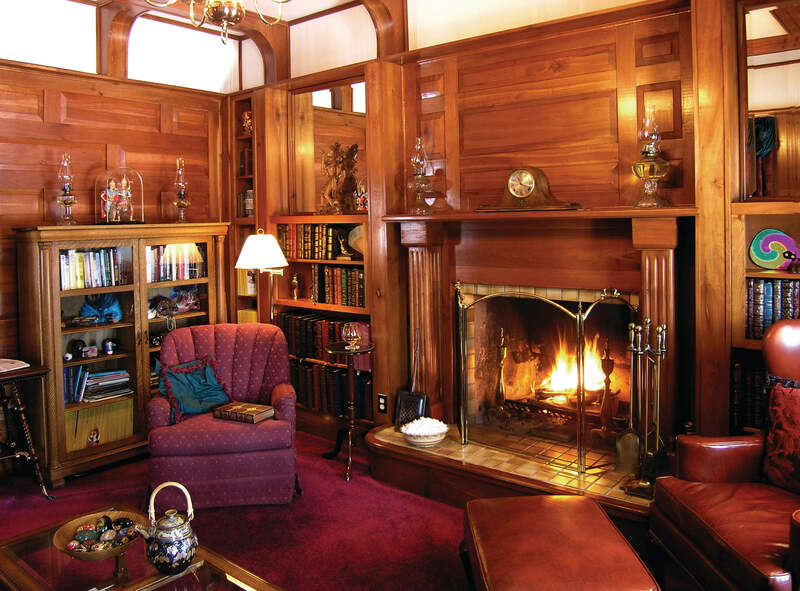 The cherry-paneled library is filled with hundreds of books, a blazing fireplace in winter and chairs to sink into, hiding away, dreaming of distant lands and adventure. Discover the sunken garden and enjoy a private sunny afternoon. The main house has five guest rooms, all with private bath, queen-size bed, air conditioning, in-room WIFI and wired high speed access in the sitting room. Our carriage house features four luxury rooms, each with private bath, king-size bed, gas fireplace, TV/DVD, air conditioning, high-speed WIFI and wired Internet access. Each afternoon, we gather on one of the wonderful porches or parlors and wind down or share stories over a glass or two of wine. 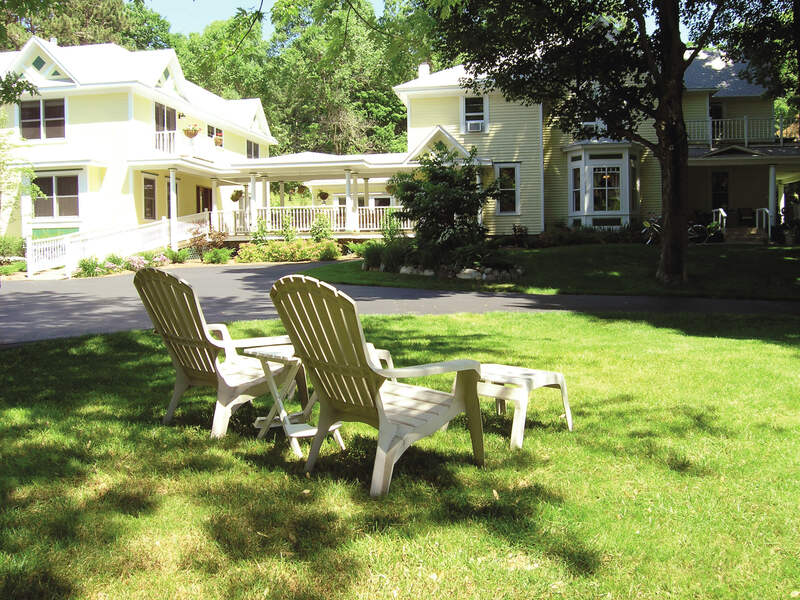 After breakfast, our guests enjoy the convenient location of the inn and take off on adventures that may include golfing, skiing, boating, kayaking, art galleries, antiquing, wine tasting or hot-air ballooning. Come and let us positively spoil you! The Village of Bellaire is the home and birthplace of Short's Brewing Company. 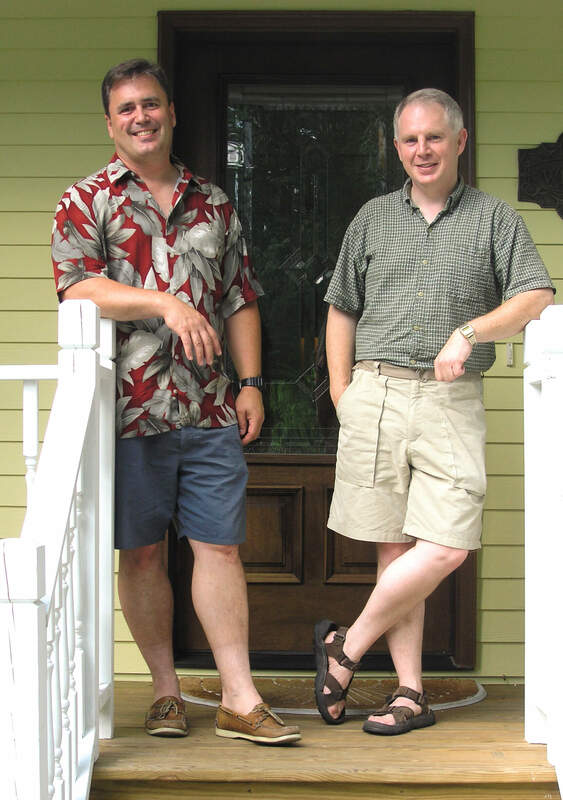 The pub is a leisurely 10-minute walk from Bellaire B&B. Located in the heart of the village, Short's offers a wide selection of beers and hard ciders. Many of the beers of tap are only available at the pub. The original brewing operation is still going strong and serves up some of the most creative brews to be found anywhere. The pub offers tours of the brewing operation both in Bellaire and the Village of Bellaire. The annual anniversary party takes place the last week in April when the street in front of the pub is blocked off and several thousand beer lovers gather to drink their favorite brews as well as try the new creations. Guests of the B&B are able to enjoy the B&B’s mug club membership, which offers discounts on beer and apparel. In March and November, the B&B hosts a “Short’s Lovers Weekend” that includes a sneak peek and taste of the new brews from Shorts and a five-course dinner, where each course is paired with a Short’s beer or Starcut cider. Kayaks, canoes and power boats, oh my! If guests have their own water transportation devices, great! They are never more than a couple minutes away from putting in and starting their day on the water. There are also several businesses that rent kayaks, canoes and pontoon boats. Guests of Bellaire B&B can take their pick of a leisurely float on several of the small lakes within the Chain of Lakes area. Torch Lake and Elk Lake are favorite haunts for sailing as well as for jet ski and power boating enthusiasts. East Jordan Outfitters offers group rates for friends and families that want to explore the beauty of the Jordan River. 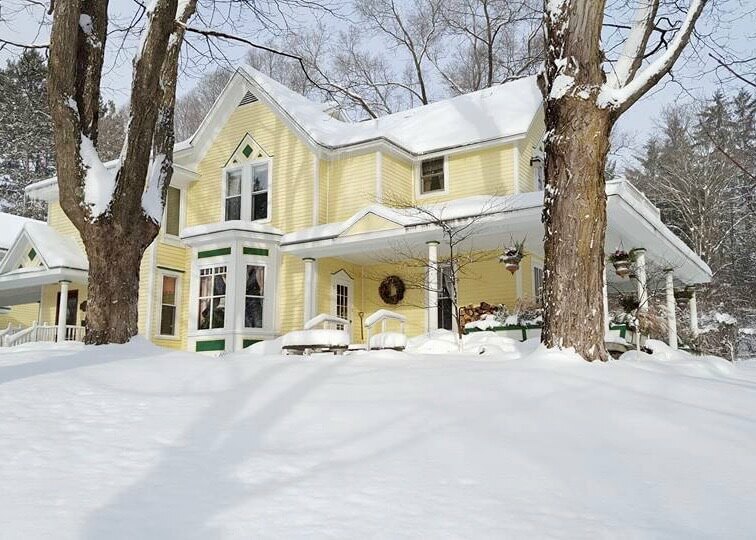 Scroll down to see what the area has to offer winter outdoor enthusiasts. Wow! Where to start? Our slice of northern Michigan includes hiking trails at Grass River Natural Area, Glacial Hills Pathway, Antrim Creek Natural Area and the Jordan River Pathway. Birding enthusiasts will enjoy the protected loon nesting area located in the northern arm of Lake Bellaire or the diverse venues offered up by the Grass River Natural Area. The Village of Bellaire is located in the heart of the Chain of Lakes region of northern Michigan, which boasts an inland waterway that stretches 74 miles through beautiful natural vistas that can only be experienced when you are on the water. Many a honeymoon, anniversary celebration and marriage proposal have been celebrated at Bellaire B&B. All the Carriage House rooms offer a cozy sitting area in front of the fireplace. The Tuscany and Savannah rooms offer Jacuzzi tubs for relaxing, romancing and sipping champagne. To celebrate special occasions, guests are offered their choice of complimentary beverage. 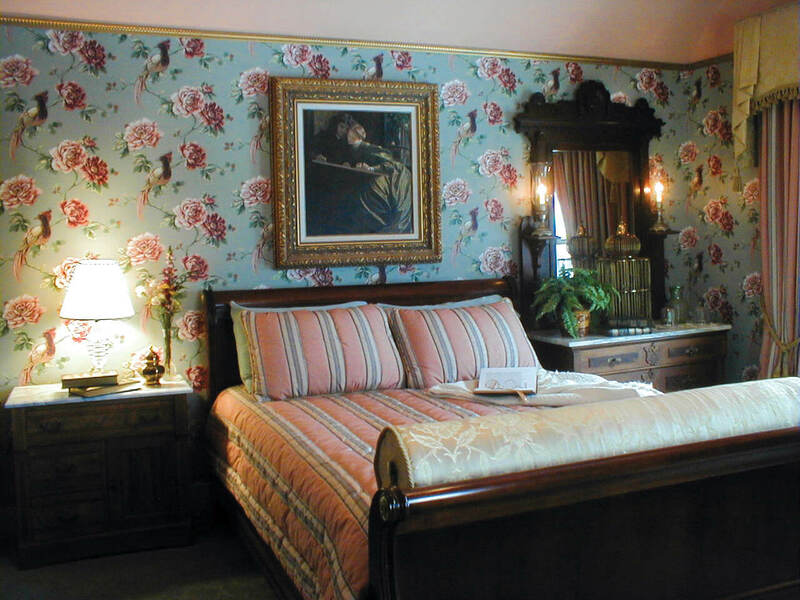 The B&B offers several packages that make our guest’s romantic experience complete, such as in-room massages, a fresh vase of roses or a deluxe spa basket. Fall is a special time in northern Michigan. The B&B is centrally situated to many favorite fall activities. Visitors combine their fall color tours with visits to the many wineries, cider mills, meaderies, microbreweries and distilleries. Antrim County is home to many apple orchards and roadside stands for that irresistible urge of a crisp apple or frothy apple cider and donuts. The Jordan River Valley in eastern Antrim County consistently offers some of the best color to be found anywhere. A lot of folks embark on day trips that include stops in Petoskey and Harbor Springs before winding through the “Tunnel of Trees” that hugs the Lake Michigan coast line north of Harbor Springs. Canoe and kayak trips on the many rivers and lakes in the area provide still another perspective of Mother Nature’s fall color palate. When the snow flies, the Village of Bellaire plays host to a wide variety of outdoor winter activities. Downhill ski enthusiasts will enjoy the slopes at Shanty Creek Resort. Cross-country skiers and snow shoe mushers can treat themselves to the Grass River Natural Area or Glacial Hills trail systems. The Glacier Hill trails are also groomed for fat-tire bicyclist thrill seekers. Guest come back to the B&B and enjoy a roaring fire in the library or retreat to their room in the Carriage House to enjoy their own fireplace.